Don’t throw that empty bottle away! We have finally found ways to create great looking bottle art without shipping your empty bottles off to an industrial designer (or cutting yourself). The Kinkajou Bottle Cutter is a cheap, safe, and easy to use tool that creates perfect cuts every time. 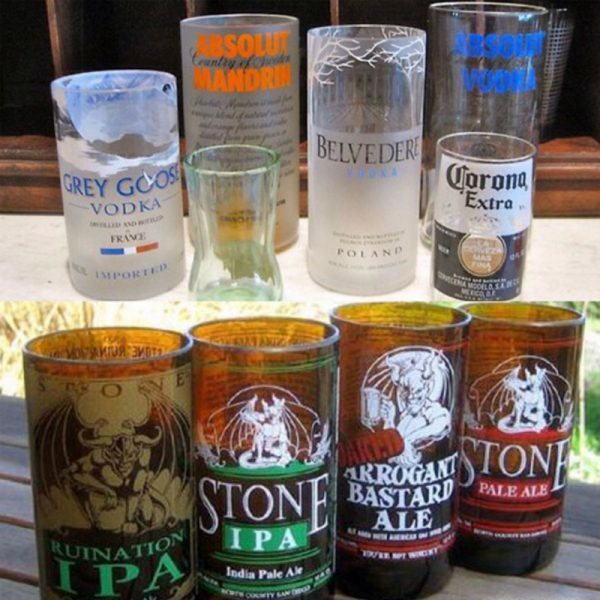 Not only can you really trick out your home bar and house decor with the bourbon bottles that you love, you can also get creative and sell your creations on Etsy, Amazon, and elsewhere. If you own a bar or restaurant, its time to step your table game up. Keeping, cutting, and using beer, bourbon, and other bottles is a great looking way to showcase your store’s offerings. Check it out. In the past, I did the whole fingernail polish/fishing line thing. The process is slow and messy, and the edges can be jagged. The Kinkajou Bottle Cutter takes a few seconds and produces the same results every time. There are a number of companies already selling their bottle art (like BottleCrafters), but the field is still wide open. Grab a Kinkajou and get in the game.